Google Drive is a popular cloud storage service from Google which, at the last count, had 800 million active users and stored over two trillion files. Now Google is prepping to replace the 2012 vintage Google Drive with a revamped storage service called Google One. In brief the new service will provide more paid data storage plans, a family sharing plan, greater integration with Google products, and online expert help. Starting with pricing, Google One stays with the policy of providing 15GB of free space for every account, so free users won't see any difference in that respect. Additionally every Google account will continue to get free unlimited photos - to be clear this has no impact on the storage allowance. Google's entry level paid-for cloud storage plan will cost $1.99 per month for 100GB, just like now. A new tier of 200GB has been added for $2.99. The next level tier is for 2TB of cloud storage which will cost $9.99 - the current pricing plan for 1TB on Google Drive. The remainder of the prices and allowances stay the same; 10TB for $99, 20TB for $199, and 30TB for $299. 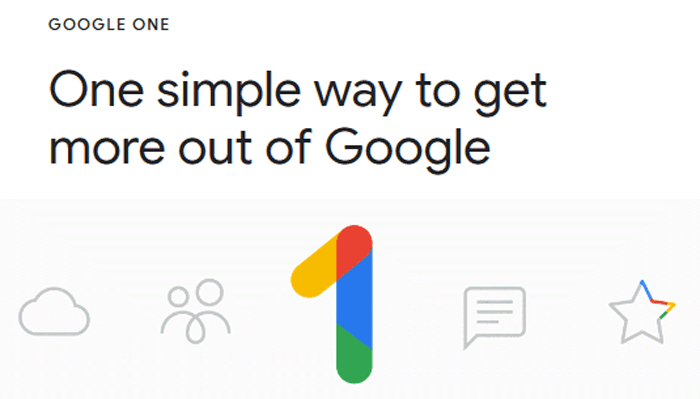 The Google Blog describes some new benefits delivered via Google One. "With Google One you get one-tap access to experts for help with our consumer products and services," it says. "Plus, you’ll gain access to extras from other Google products, like credits on Google Play or deals on select hotels found in Google Search." There are further undisclosed plans to add more benefits. Family account sharing could be popular. With Google One, you can add up to five family members to your plan (everyone has their own private storage) and simplify storage under one bill. Google plans to upgrade Drive users to Google One over the coming months starting in the US. Everyone else will see the changes occur later this year. If you wish you can sign up for status updates. Out of all the companies out there that can store my data online (not that I would do that with anything important) Google is pretty much at the bottom of the pile…the only ‘online storage’ I'm using them for is a backup of my digital music collection as it offered the most space for free lol.